For Hannah's coastal chic wedding vibe, she requested wildflowers. At the height of full Summer the Sydney Markets are brimming with meadow flowers, just what we needed for this hand-picked style of wispy wonders. 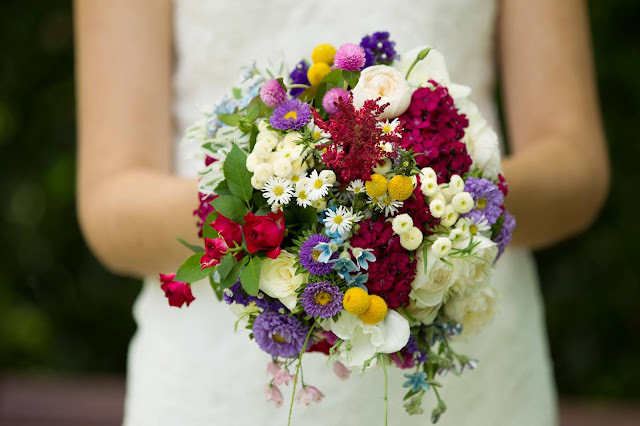 So many unique elements went into making the bridal bouquets, such as yellow billy buttons, purple status, sweet william, easter daisies, david austin roses, spray roses, purple asters, and burgundy astilbe. 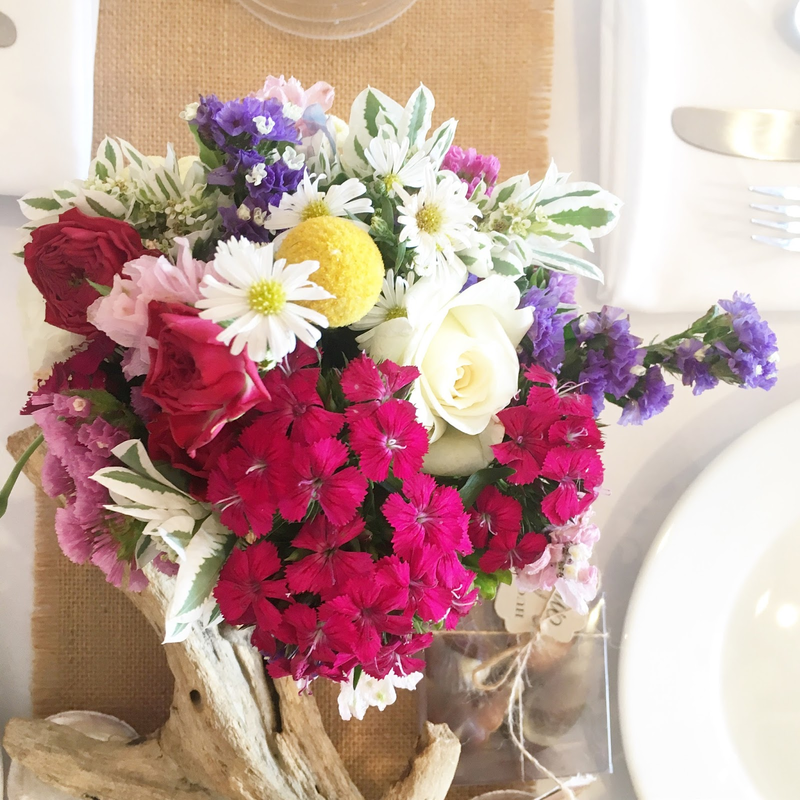 Each of the reception tables featured similar blooms complementing hessian and driftwood table centres. 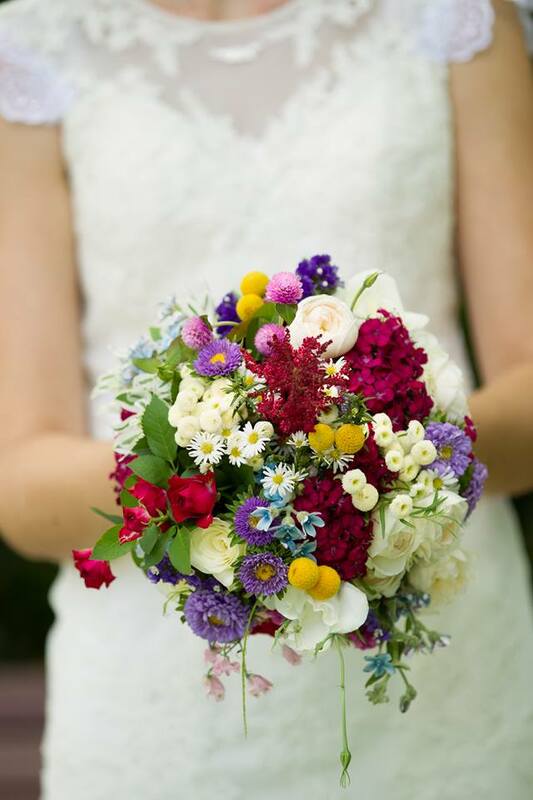 For other wildflower weddings we've crafted, revisit Alana's style and Sam's gorgeous bouquet. 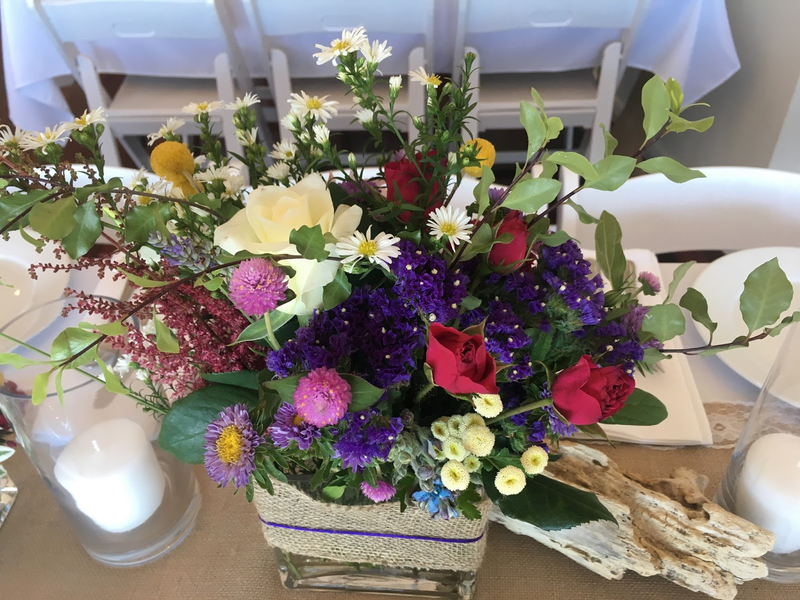 "We were so pleased to have Urban Flower do our flowers for our wedding and they exceeded our expectations. I wasn't sure what design I wanted for the flowers and received so much help to come up with the perfect bouquets and flower arrangements for the tables to suit our wedding. We loved how the flowers looked on the day. We would highly recommend Urban Flower as they go above and beyond to ensure the best service." 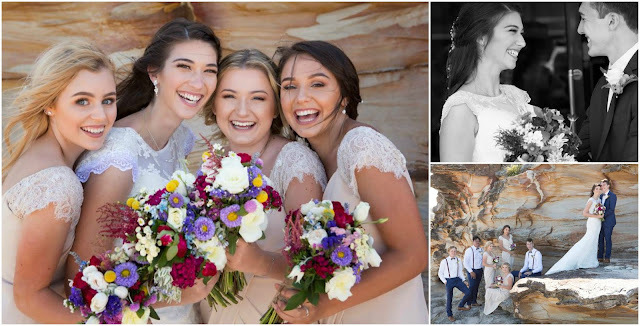 Hannah and Joel married at the Sydney Australia Temple in Carlingford. Their reception was held at Bilgola Beach Surf Lifesaving Club. Wedding photos taken by Celebrate Photography.